Three weeks into his new job, Army Secretary Mark Esper has some ideas for the service that will put a smile on many a soldier’s face. Esper, who graduated from West Point in 1986 and spent 21 years in the Army, told Army Times in an interview Tuesday that he’d like to give more control back to commanders and take some of the burden of military life off of families. 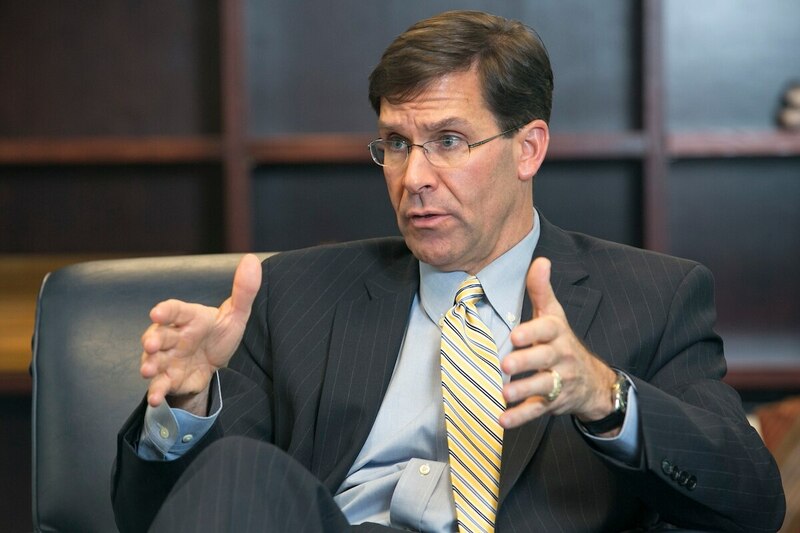 Almost four months after the Senate first received his nomination to be top civilian in the Department of the Army, former Raytheon executive Mark Esper took his oath of office Tuesday. The former infantry officer spent time in the 101st Airborne Division and the 3rd Airborne Battalion Combat Team, 325th Airborne Infantry Regiment — which would later become the 173rd Airborne Brigade Combat Team in Vicenza, Italy. Esper remarked at how much is on a unit’s plate in the Army now, as compared with his time as a company commander in Vicenza. Esper said he’d like to see that philosophy applied to the Army’s long list of mandatory training, from how soldiers learn about detaining enemy combatants to how to keep from drowning. The Army already has a study underway to evaluate what’s necessary and directly related to readiness, he said. “Do you need to do that in a classroom? Or, when you’re out in the field and you have 30 minutes of down time and soldiers are eating their MREs, can you talk about, ‘OK, this is how you search a prisoner, and this is how you separate them and process them?’ ” he said. Or, in the case of a training session that’s done multiple times a year, he said, the Army should evaluate how often is really necessary. Once or twice a year, while adding some remedial help for soldiers who have a tough time, might be more efficient, he added. Esper also suggested that rather than creating a brigade-wide schedule for training, individual commanders should have some flexibility, while being held accountable if they get rid of or modify a course and then start to see issues with their soldiers. “I think, generally, the NCOs and officers in a platoon or company want to take care of their soldiers, and they understand it doesn’t run from nine to five, like in the civilian world,” he said. 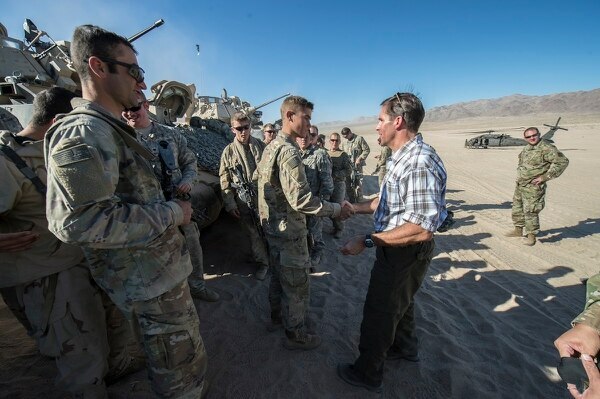 With all the time and money spent on developing NCOs and officers, he added, the Army should trust them to properly train their soldiers and to take responsibility if something goes wrong. Along those same lines, Esper cited the many permanent change of station moves his family experienced during his career as one of several reasons to consider extending assignments. That way, he said, kids could stay in school longer, spouses with jobs would have more stability, and soldiers would have more down time in between deployments and moves. And the Army would spend less money packing up families and shipping them across the country or overseas. “If I could do that, one might say that you could reduce the churn on the soldier, which in turn reduces the impact on the family,” he said. That idea is still in the very early stages, he added, but he hopes to study the impact it would have on the force.